Glass’s music – love it or hate it – has had a profound effect on wider pop culture. 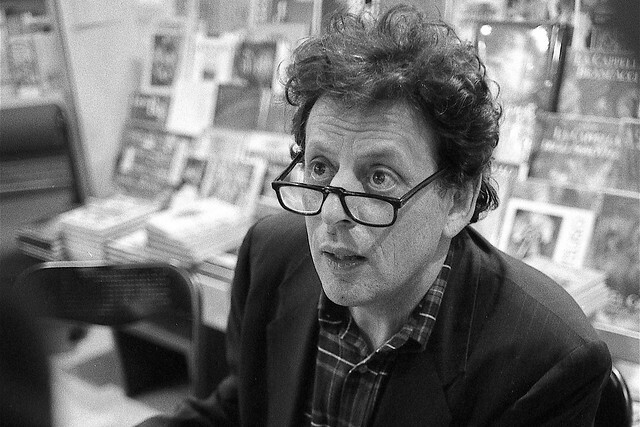 ‘Can any of us imagine a musical world without Philip Glass?’ asked Tom Service in The Guardian. Glass’s music – love it or hate it – has had a profound effect not just on the world of classical music but also on pop music, film music and the broader cultural landscape. In the 1960s Glass studied Buddhism and it was also around this time that the movement we now know as minimalism was born. After making contact again with Steve Reich – the pair had studied together at the Juilliard School – Glass began to strip his music back to create what he called ‘music with repetitive structures’, such as Strung Out (1967) or Music in 12 Parts (1971–4). Glass’s film music has earned him a clutch of awards, so it’s no surprise that he's had a huge influence on other film composers, including Hans Zimmer. David Bowie is another figure who's absorbed Glass’s music – and this influence has worked both ways. Glass based two of his symphonies (no.1 and no.4) on albums by Bowie (Low and Heroes respectively), whose music in turn has been hugely influenced by Glass's minimalism. This five-hour opera is scored for synthesizers, woodwinds and voices. The four acts are divided by short scenes called ‘knee plays’ which include the sound of a chorus of voices counting. Glass’s music for the 2002 film directed by Stephen Daldry won the BAFTA for Best Film Music. The film stars Nicole Kidman, Meryl Streep and Julianne Moore and focuses on three women from different periods, whose lives are connected by Virginia Woolf’s novel Mrs Dalloway. While writers have been debating whether the symphony is still relevant for contemporary music, Glass has just got on with writing them – he’s now written ten. His ninth was completed in 2011, and was commissioned by the Bruckner Orchester Linz. Music Theatre Wales gives the world premiere of Glass's The Trial in the Linbury Studio Theatre, running 10–18 October 2014. Tickets are sold out but returns may become available. Music Theatre Wales takes its production of The Trial on tour around England and Wales throughout October and November. Find a performance near you. The production is a co-commission and co-production between Music Theatre Wales, The Royal Opera, Theater Magdeburg and Scottish Opera.